GOTA provides up-to-date information regarding state legislative news. Click on the items listed below for additional information about an issue. For information on national advocacy, please visit the AOTA’s Issues & Advocacy website section for further information on current national legislative news. The GOTA Medicaid Committee serves as a part of the Trialliance as a liason group with Georgia Medicaid. 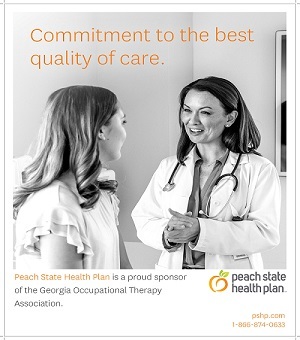 Members of the committee relay concerns and issues Occupational Therapists in Georgia are experiencing providing services to medicaid clients. Up to date information about meetings between the Trialliance and medicaid are posted on the GOTA listserve and website. 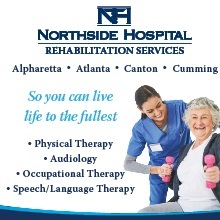 The Tri-Alliance consists of the Georgia Occupational Therapy Association (GOTA), the Georgia Speech, Language, & Hearing Association (GSHA), and the Physical Therapy Association of Georgia (PTAG). The Tri-Alliance represents a joint venture on the part of the three organizations to address issues of mutual concern and initiate, as appropriate, collective action to enhance their individual responses to major societal problems. The Tri-Alliance seeks to be viewed as a central source and resource for the state government on anything affecting the three respective professions and involving issues of health, rehabilitation, and disability. Babies Can't Wait (BCW) is Georgia's statewide interagency service delivery system for infants and toddlers with developmental delays or disabilities and their families. BCW is established by Part C of the Individuals with Disabilities Education Act (IDEA) which guarantees all eligible children, regardless of their disability, access to services that will enhance their development. Additional information about IDEA and national efforts supporting the implementation of the early childhood provisions of the law is available through the National Early ChildhoodTechnical Assistance Center. The OT Political Action Group supports issues, people and activities that contribute positively to the OT profession in Georgia. The OTPAG is a non-profit organization and is not fiscally tied to GOTA. Established by the Constitution as one chamber of the federal government’s legislative branch, the United States Senate is comprised of one hundred members—two senators from each of the 50 states—who serve six-year, overlapping terms. Senators, along with members of the House of Representatives, propose, author, and vote on federal legislation that touches upon all aspects of U.S. domestic and foreign policy. Senators provide advice and consent on executive nominations and treaties and conduct oversight of all branches of the federal government. As per the Constitution, the U.S. House of Representatives makes and passes federal laws. The House is one of Congress’s two chambers (the other is the U.S. Senate), and part of the federal government’s legislative branch. The number of voting representatives in the House is fixed by law at no more than 435, proportionally representing the population of the 50 states.